At just 25 years of age, Liam Burrows is a truly gifted young performer whose amazing talents have certainly kept him in high demand. He has also performed as the headline act on Australian, British, American and Norwegian cruise ships. Besides appearing as a finalist on Australia’s Got Talent 2011, Liam has performed on Channel 7 Melbourne’s Good Friday Telethons, Channel 10’s The Circle, Channel 7’s The Morning Show (numerous times) and on Channel 7 Perth’s Telethons over 3 years. Liam’s numerous YouTube videos have been watched by thousands of fans, with his Australia’s Got Talent audition achieving around 2,400,000 views. Since July 2011, Liam has enjoyed a meteoric rise to the top of the music scene whilst continuing to develop as an exceptional and unique entertainer, performing all over Australia as well as overseas. He has earned the respect of fellow professionals and stunned the public with a mature vocal style and stage presence that is way beyond his years. Receiving accolades is not new to Liam. In 2009, when just 14, he captivated audiences at the famous Montreux Jazz Festival in Switzerland and received a standing ovation. At just 17, Liam independently released his own album “All Of Me” and this has achieved critical acclaim and airplay around the world. The album was launched with Liam appearing in his own 3-hour concert with an 18 piece “Big Band” to a full house in the Palms Showroom at Melbourne’s Crown Casino Complex, at which time he again received standing ovations. He also supported the Pointer Sisters during their national tour. In 2012 Liam was thrilled to be named “Best Jazz Artist” at the Australian Music Industry’s MusicOz Awards. He also won Second Place in the Vocal Performance category of the International Unsigned-Only Music Competition. In 2013 he won an Australian Entertainment Industry MO Award for live performance and recorded some new and original material. As a Finalist in the 2013 Unsigned-Only Music Competition, Liam won an Honourable Mention for his rendition of an original song,” You Shook Me” (From his EP). There were over 9,000 entries from over 100 countries worldwide. Only 1% of all entries made to the finalist status and even fewer received awards. Mid-2014 Liam released a video of “You Shook Me” and this went on to win “Best Music Video” and Best Visual Effects” at the 6th Annual MovieClub International Short Film Festival in Palestrina, Italy. Liam also won two awards in the Vocal Performance category of the International Unsigned-Only Music Competition: Second Place of with his rendition of “Skylark” and an Honourable Mention with “Never Fallen In Love So Easily Before”. In December, Liam performed at two corporate events in Hong Kong and completed the Musical Theatre Open Course at the National Institute of Dramatic Art. In 2015 Liam was awarded the Vocal Scholarship at Generations in Jazz. This was presented by James Morrison who described him as “a great ambassador for Jazz”. In August Liam was named StarCentral Magazine’s Unsigned Male Artist of the Month and in September was awarded Second Prize in the Vocal Performance Category of the International Unsigned-Only Competition 2015 and Two Honourable Mentions. In November of that year, Liam was one of only eleven entrants world-wide to achieve Semi-Finalist status in the prestigious Thelonious Monk Institute International Jazz Vocals Competition which took place in Los Angeles. The competition takes place every 5 years and attracts hundreds of entries from all over the world. Liam was the only Semi-Finalist from the Southern Hemisphere. In that same month he appeared for the first time in Auckland in a major Sinatra Centenary Concert, accompanied by a 24-piece orchestra. 2016 commenced with performances on several cruise ship, including one for the CEO, the President and senior management of Holland America Line and 4 shows at the Waiheke International Jazz Festival in New Zealand. Liam completed his Bachelor of Music in Contemporary Performance at the end of 2016 and graduated from the Australian Institute of Music in February 2017. 2017 also saw Liam perform on seven cruises and at venues in Sydney and Melbourne with his quartet. A stand out performance was his gig with the Daryl Mackenzie Big Band at The Apartment in Melbourne. 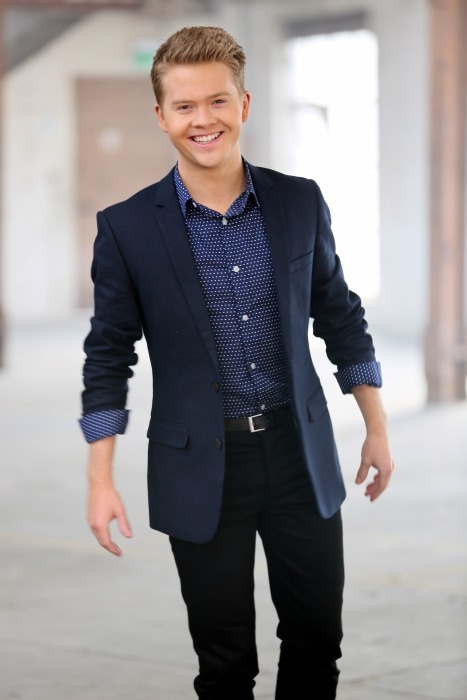 He also performed again at Channel 7 Perth’s Telethon and appeared on Royal Caribbean / Bravo’s Cruise of the Performing Arts. 2018 saw a return appearance at the Brisbane Jazz Club and performances on two cruises with the “Norwegian Jewel”. He was also a panellist throughout the series of the Seven Network’s popular music show “All Together Now”. The year was rounded off by further performances on Channel 7 Perth’s Telethon as well as the recording a new album of original songs and covers.